Remove Adware and Spyware Programs, FREE Download! 9% of PCs block this file from running. Unity is a cross platform game engine and IDE developed by Unity Technologies, targeting web plugins, desktop platforms and mobile devices. npunity3d32.dll is loaded as dynamic link library that runs in the context of the Google Chrome web browser. The file is digitally signed by Unity Technologies ApS which was issued by the Thawte Consulting (Pty) Ltd. certificate authority (CA). Authority (CA): Thawte Consulting (Pty) Ltd.
United States installs about 38.00% of Unity Player. We are still in the final stages of development and will hopefully have our 100% free client app available soon. The app will work in conjunction with your existing anti-virus program to quickly help you block potentially unwanted software from taking control of your PC. In the meantime, if you would like to run our award winning software, "Should I Remove It? 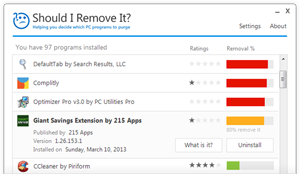 ", which is designed to quickly purge your PC from unwanted programs, please download it it here, it's 100% FREE! Featured on The Kim Komando Show, USA Today, Tom's Guide, CNET, Softonic and many more. Should I remove It? 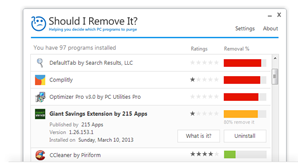 Clean your PC of unwanted adware, toolbars and bloatware.